FoodFit 2019 sessions have begun with our first full group now into their 4th week. 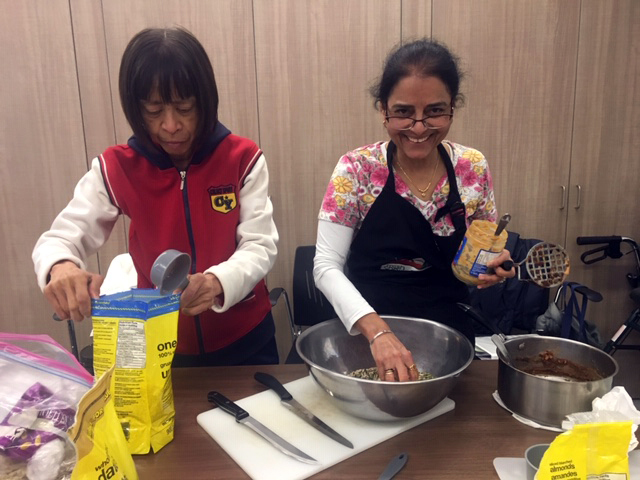 Big thank you to Community Food Centres Canada for funding this initiative that is supporting community members who may have health concerns and/or interested in learning new healthy activity and food skills as they work towards improved health and well-being. 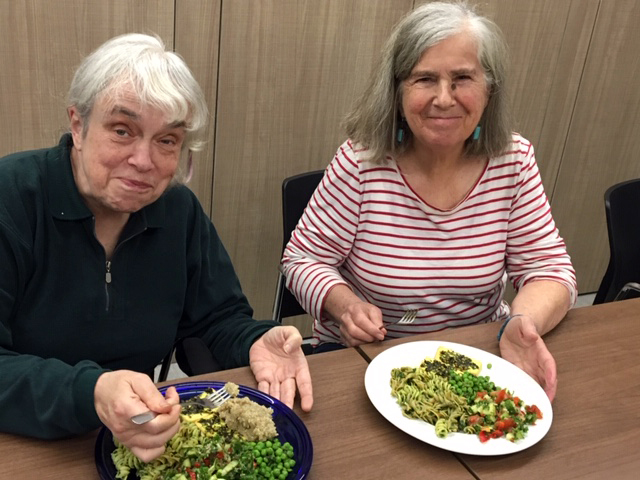 Our classes include a wide variety of participants including a number of newcomers, all ages, a number of people who have food intolerances, and vegetarians. We support all types of diets with the goal of helping people realize better health. We support each participants’ own motivation for change helping them move from current attitudes and less healthy circumstances toward realistic, sustainable healthier behaviours. Feed back from past participants has been very positive. It is wonderful for us to know that the program is helping people feel good in their life. 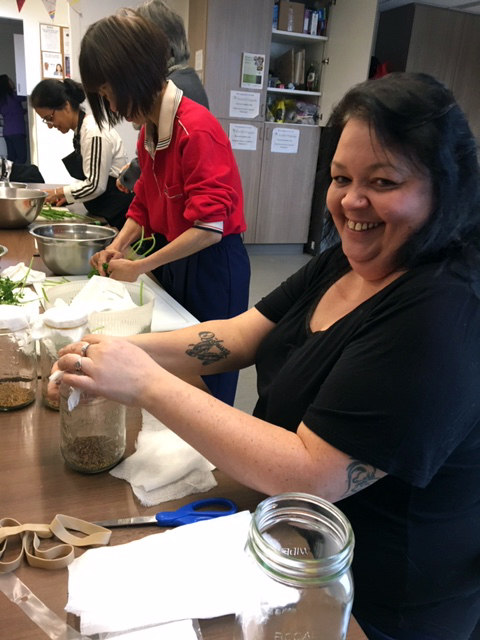 As one participant expressed, “the knowledge about different types of food variety and preparation brought about a positive change in me as I try various ingredients. The positive, very stimulating and encouraging approach of our facilitator is uplifting and brought out the best of all participants. Sharing and working together provided positive energy as well”. And as another participant commented, “I can make more balanced meal every day. I know how to choose the healthier food than before”. FoodFit is also designed to support graduates of the program though monthly alumni sessions. This is an opportunity for participants to maintain support as they move towards a healthier lifestyle. Change is not always easy and staying connected to a group with common interest can really help. 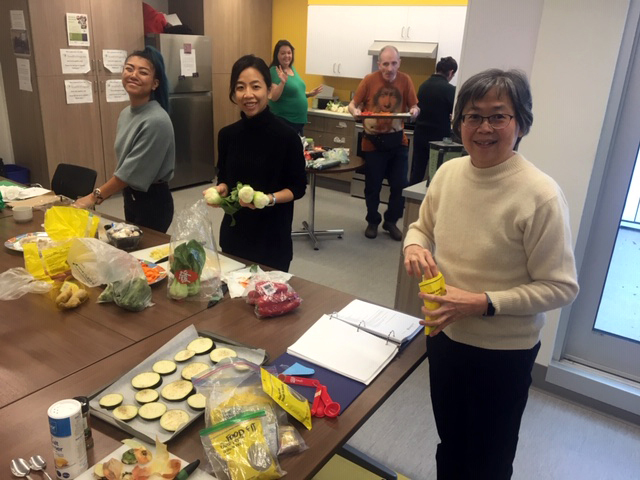 Our current alumni group has asked for more of a cultural focus as one of their themes so this month we have focused on Lunar New Year and Black History Month including cooking various items from the African Diaspora and Asian Cultures. We are currently registering for our next FoodFit session. If you are interested or know someone who could benefit from this program, please contact Ian at 604-718-5895. 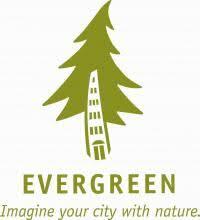 A big thank you Evergreen Foundation and Seeds of Change for their ongoing funding of our Britannia School/community garden program. 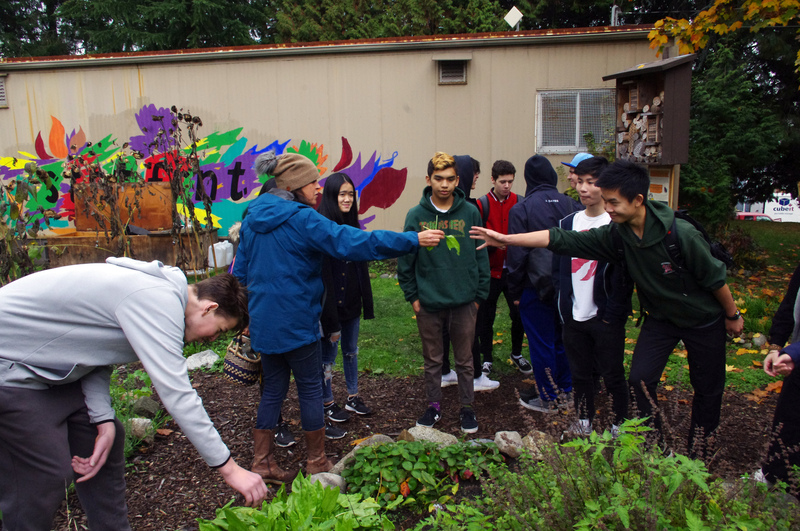 Funds were used to extend our garden programming through this past fall, primarily to youth at the Britannia School Garden. 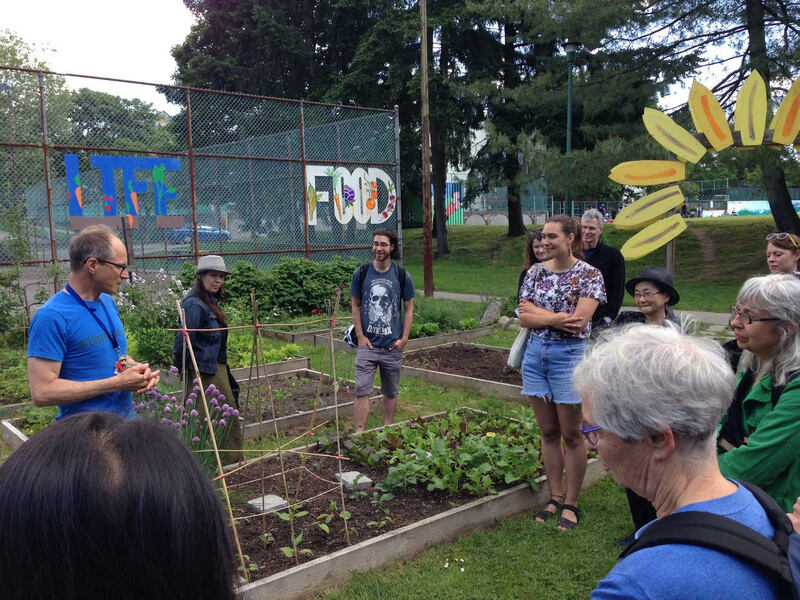 This included 25 garden classes working with approximately 100 youth as well as 2 community seed saving workshops with a total of 23 participants. These garden classes in particular, are providing valuable extracurricular education to youth on a whole range of food growing topics such as composting, soil health, winter gardening, seed saving, and native plants and cultural uses, which are helping to build stronger connections to the land and food sources. 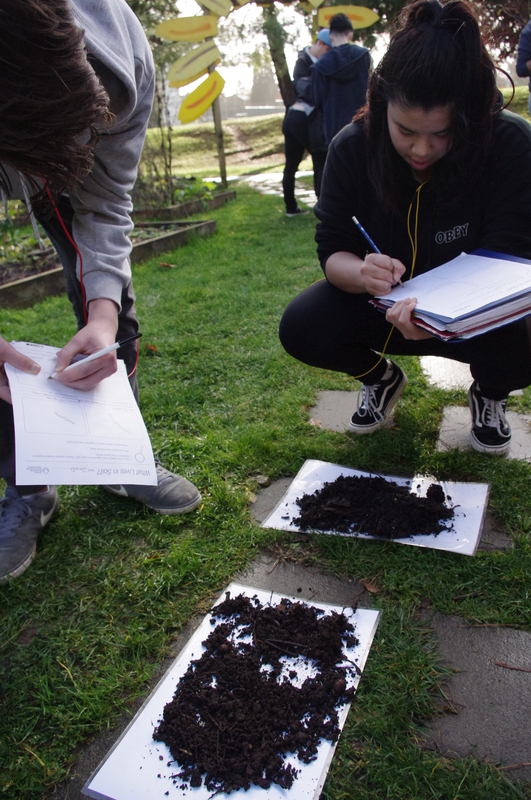 Youth are eager to be outside and keen to learn about food growing and ecology. 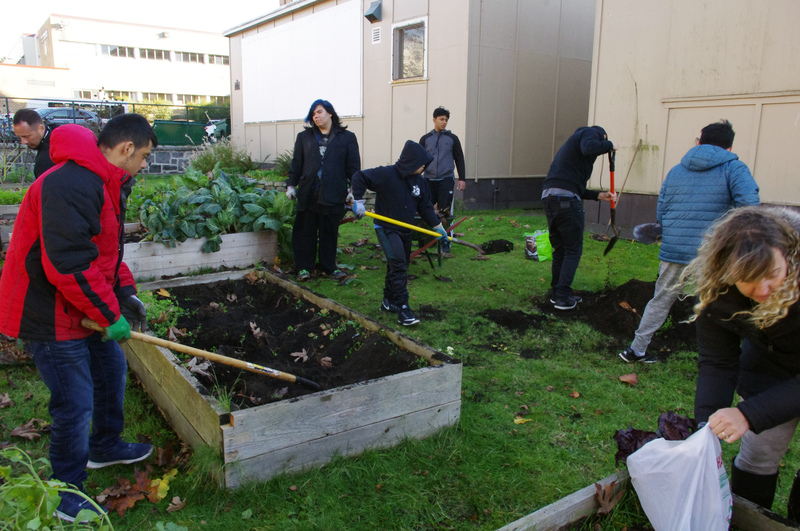 Funds also allowed us to increase our physical capacity allowing us to purchase more garden tools as well as wood and soil to increase the number of garden beds in our 22,000 sq ft garden area. 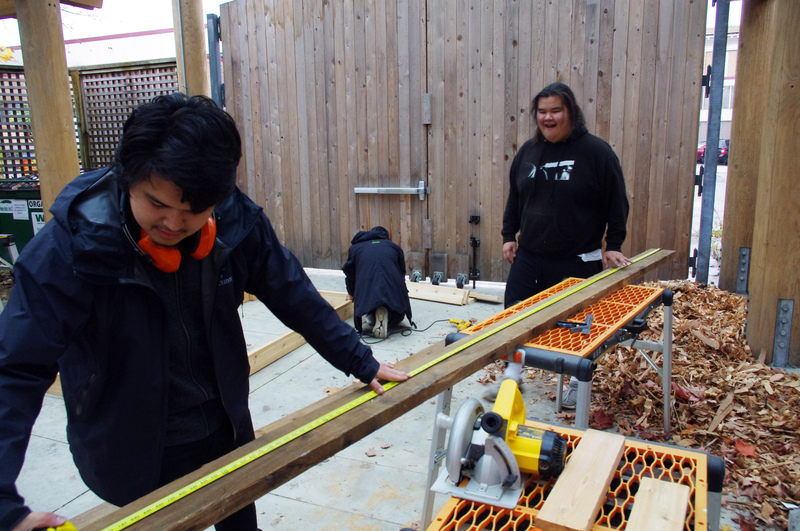 The building of 3 new raised boxes provided several students new construction skills, an important part of maintaining and developing gardens. We were also able to create two beautiful new bee education signs for both our mason bee homes and our honey bee hives. 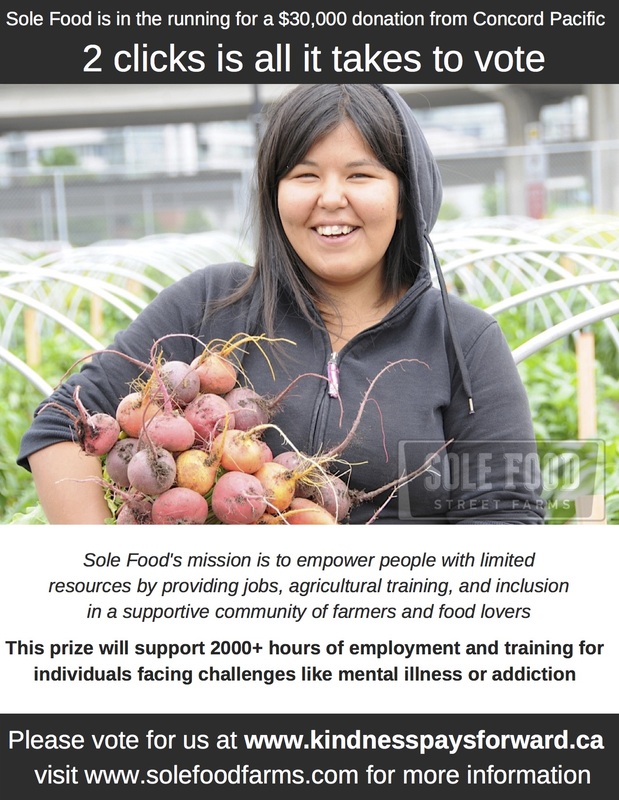 Our friends @solefoodfarms are in the running for a $30K prize and urgently need your support by Thursday Jan 3 at midnight to win. They provide jobs, training, and inclusion to people with limited resources and this prize will support more than 2000 hrs of employment for people living in the DTES. We need an outpouring of support from our community so that our video on www.kindnesspaysforward.ca will receive the most votes by 11:59 pm on January 3, 2019. We’ve been neck and neck for 2.5 weeks with less than 48 hours left to go and anything could push them over the edge. It has been a busy year, but then again, when is it not. There are so many interesting and important projects to get involved in and it is hard to say no to many of them. Of note, 2018 saw the continual rising cost of housing offsetting much of the valuable work we are doing with many households that continue to struggle with food access. Wages and benefits simply are not keeping pace with rising food prices and living expenses. On a positive note, we completed a year of public consultation and the recently completed master plan for the new Britannia Community Centre inclusive of a much expanded food hub and food programming. So here are our top 10 highlights for 2018. It was hard to narrow down the many positive projects that we were involved in, so we threw in an extra highlight just for fun. 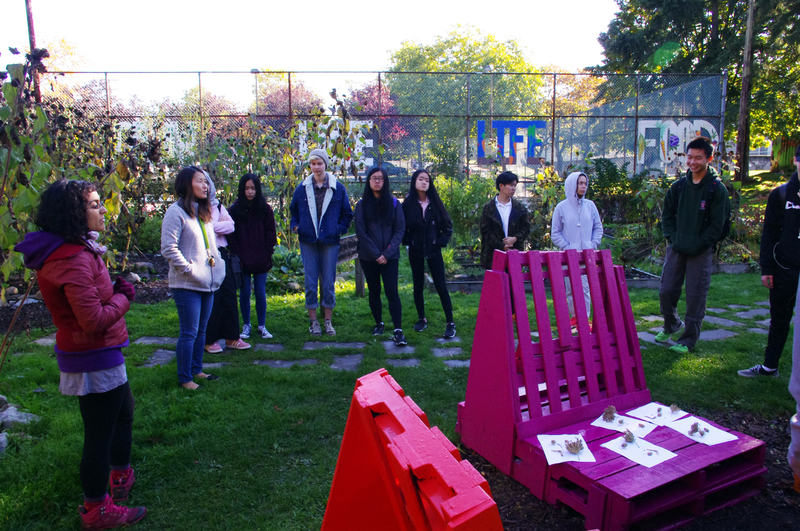 Year three of our summer Wild Minds project brought 14 youth came together to explore, learn, play, and work in the beautiful Strathcona and Cottonwood Community garden in Vancouver’s Strathcona inner city neighbourhood. 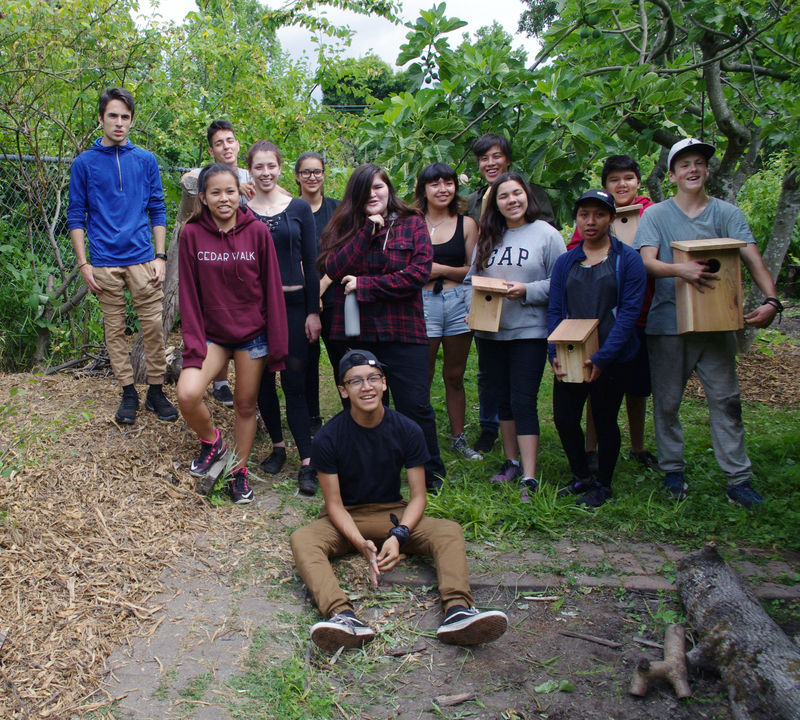 This program partnership with Environmental Youth Alliance is certainly a highlight of the year with its focus on supporting youth immersion and connection with urban wilderness. 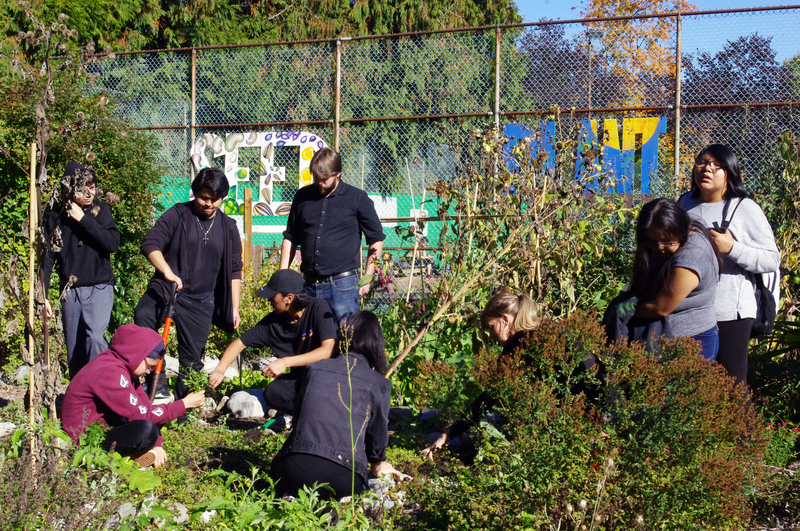 Along with hands on skill building work, youth helped nurture and re-wild a beautiful community garden space, transforming it into a more diverse ecosystem. The success of the program is most evident in the youth’s enthusiasm for learning and working. 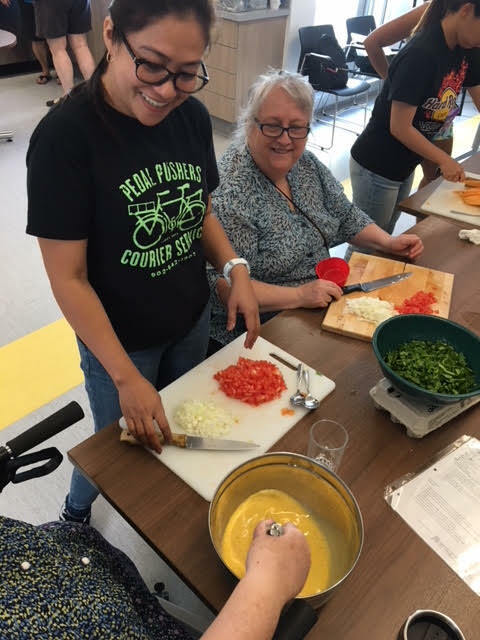 With a two year grant from Community Food Centres Canada and a partnership with Reach Community Health Centre, we have been able to offer this popular health and wellness program to over 40 participants so far focusing on physical activity and healthy eating. Based on motivational change theory, participants are well supported in this structured program to improve their health. 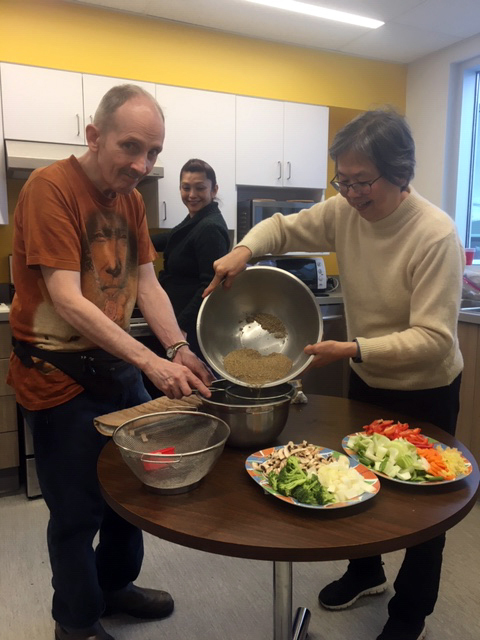 As part of the 13 week program, participants track their walking steps and fruit and vegetable intake along with learning many valuable healthy eating tips and recipes. 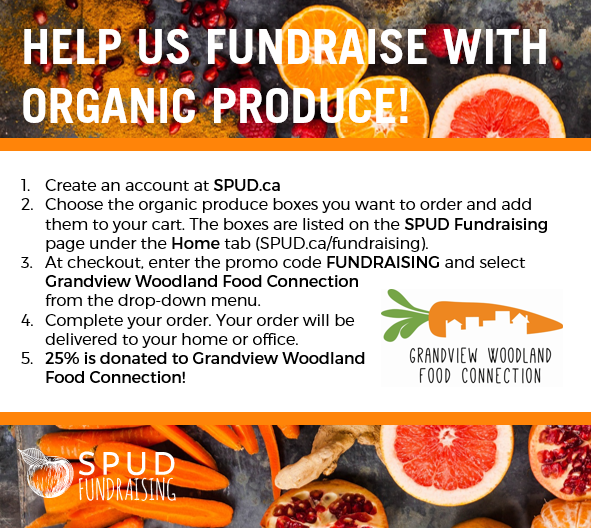 Thanks to a wonderful volunteer, the Grandview Woodland Food Connection has finally been able to launch its seed library. 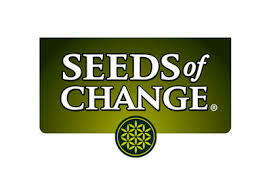 This library provides community members with access at no cost to seeds and resources on gardening and seed saving. Members of the seed library can borrow seeds for their garden and are encouraged to collect seeds from their plants and deposit them in the seed library to help provide for other library users. 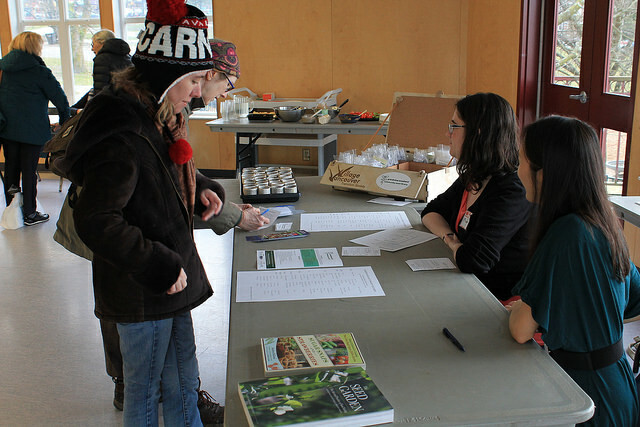 We also ran several seed saving workshops this year and now expanding our collection to include native plant seeds. The Library collection will be available at various events such as seed swaps and workshops throughout the year. This very successful fundraiser raised over $4,000 to help support the Grandview-Woodland Refugee Initiative to bring a Syrian family to safety in Vancouver. 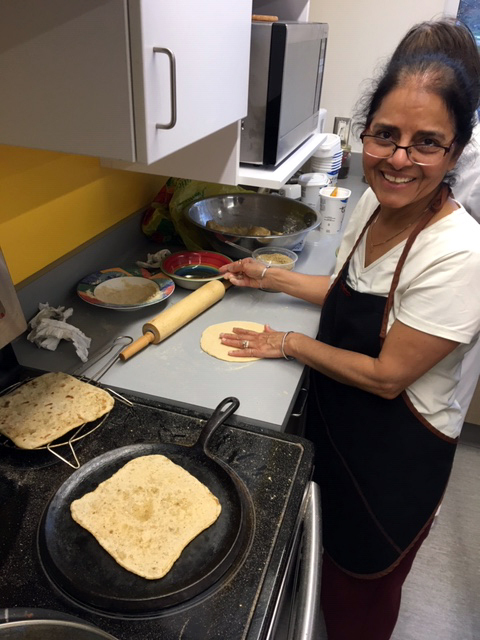 Fabulous Syrian food was prepared by mother and daughter Hayat Shabo and Carmen Aldakhlallah who themselves are recent refugees living in our community. Big thank yu to everyone who pitched it make this a great community dinner. Two honey bee hives arrived in the Britannia School Garden this year with the help of professional beekeeper and Britannia English teacher Ashley Macleod. The bees are a fantastic addition to our school gardens to both help pollinate as well as provide a rich learning experience. 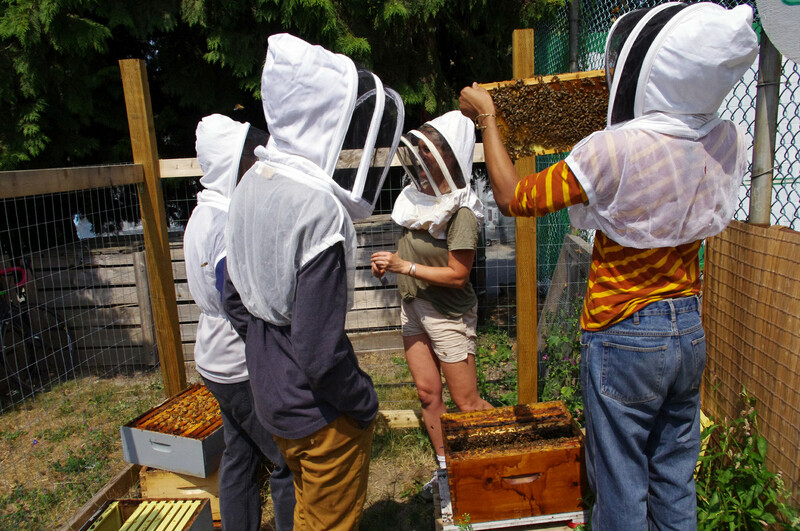 Ashley ran a summer bee school where a few students were able to learn all about beekeeping. Further to this, Ashley has developed an environmental literacy curriculum, inclusive of various bee texts as part of her creative writing class. Students will integrate in-class reading and writing with hands-on beekeeping instruction all geared towards increasing environmental stewardship amongst youth while increasing literacy, communication skills and fostering a deepened understanding of themselves and others locally and globally. We were honored to again help organize and participate in the Indigenous led Wild Salmon Caravan, hosting many planning meetings, supporting logistics, and arts build planning and activities for the Vancouver WSC parade, which ran along Granville street to the Roundhouse. The GWFC further commissioned the building of a new bike float made by artist Giles Chin who created of a beautiful mermaid float, which was a parade highlight. 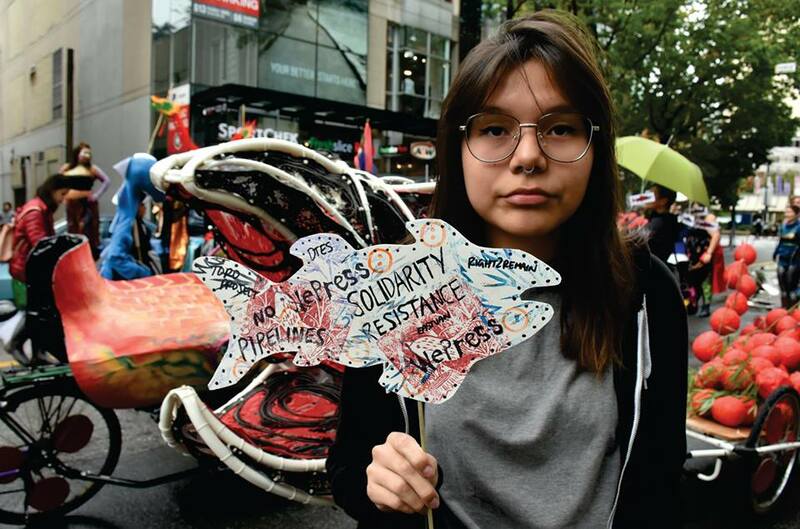 The WSC was a beautiful expression of grassroots art and social action in an effort to raise awareness of the need to protect wild salmon and support Indigenous food sovereignty. 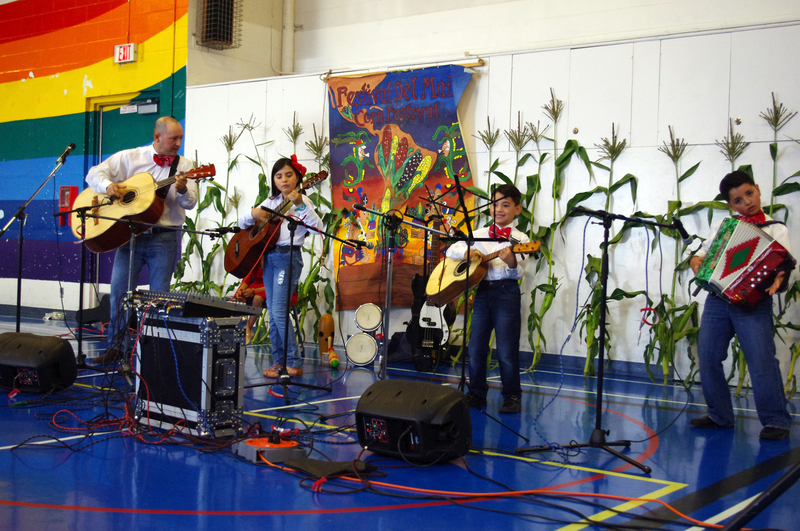 As always, the Fiesta del Maiz (Corn Festival) at Britannia Community Centre is a yearly highlight, bringing together about 800 community members from all backgrounds to celebrate Latin American culture and all foods corn. Organized by the Canada El Salvador Action Network with support from the GWFC, this festival has a very authentic, grassroots, community building, cultural sharing, and family vibe. 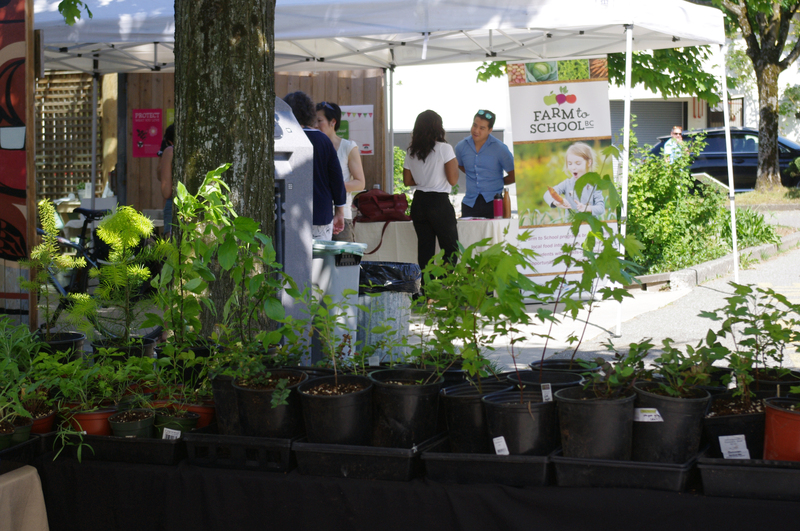 The Fiesta del Maiz and all its uniqueness brings a small taste of Latin America to East Van. Our work is most rewarding and enjoyable when we are building new connections. With this in mind, we were happy to help organize the School Garden Learning Circles in partnership with Farm to School where we had an opportunity to connect with other school garden teachers and leaders, tour their gardens and learn from each other what we are doing in our respective gardens. 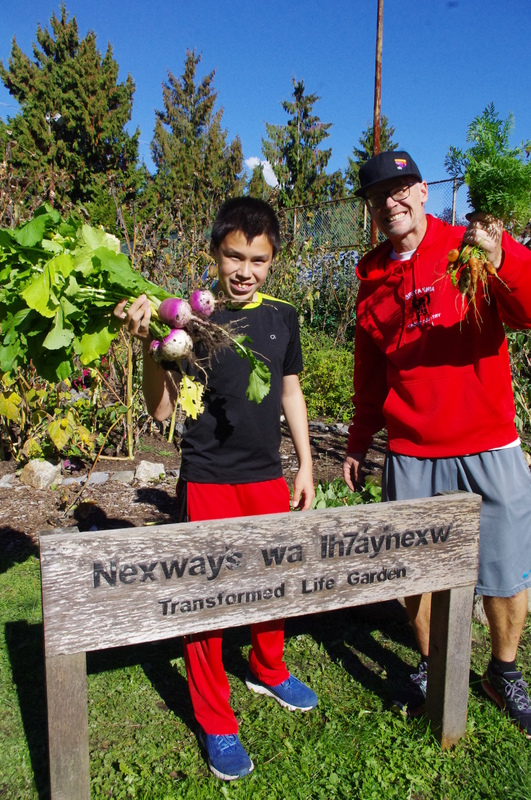 One very positive outcome in working together was the hiring and sharing of two summer students who helped water and maintain a number of school gardens over the summer. 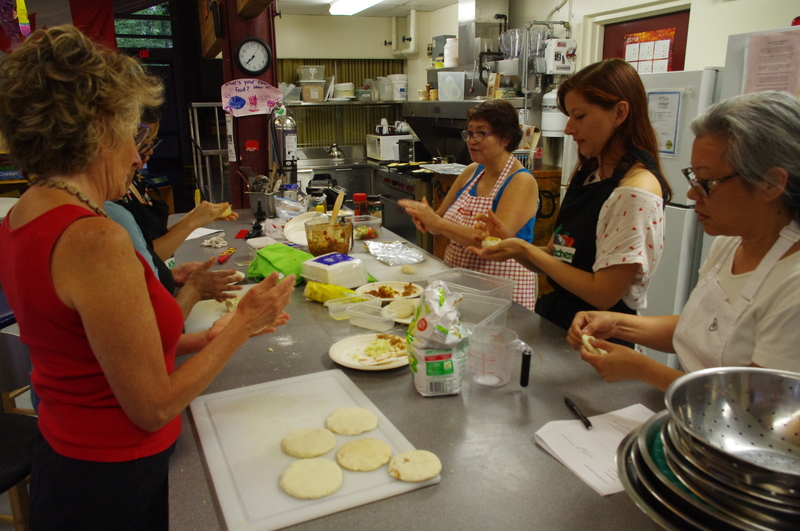 2018 was a good year for food workshops. 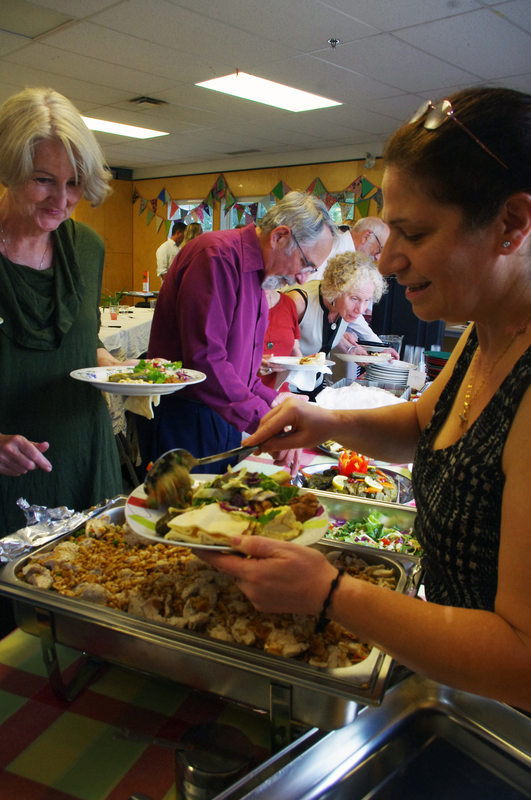 15 workshops were held on a range of topics from seed saving, native plant walks, healthy fats and oils to Syrian and Latin American cooking. A record number of 158 community residents participated. 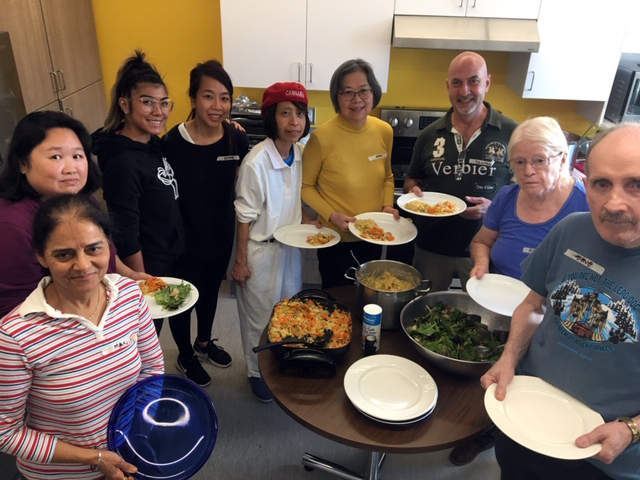 The Grandview Woodland Food Connection was thrilled to join Community food organizations from across Canada who came together in Toronto to share stories, lessons learned and successes in our work. Most of these organizations are “Good Food Organization” affiliates, united under a common set of principals, which are helping to shape a more dignified, responsive, successful, and systems changing community food model. It’s really great to have this growing community of learning across Canada and the many resources available to help improve our work locally. The BC Centre for Disease Control in partnership with the Provincial Health Services Authority just released their cost of a nutritionally adequate diet in BC in 2017. 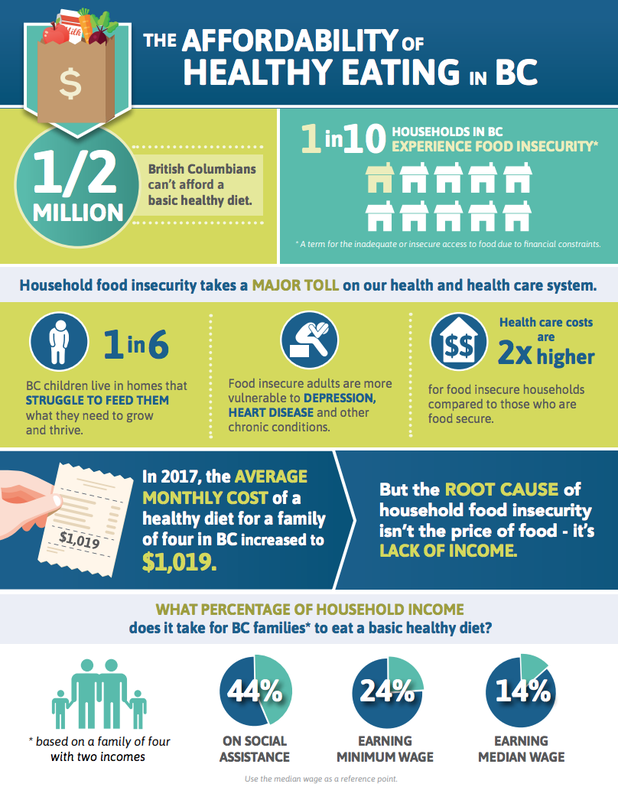 The data in this report represent the “average monthly cost of a nutritionally adequate, balanced diet in BC based on the National Nutritious Food Basket (NNFB) and provides insight into the effects of household food insecurity on individuals and families”. Not surprisingly food costs are increasing on average over 4% since 2015. 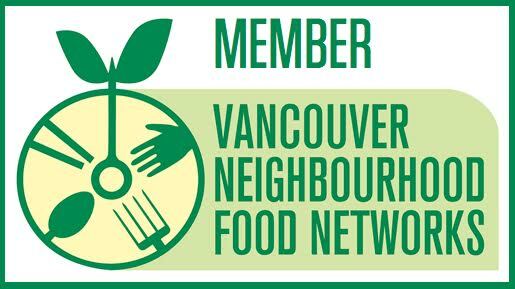 The average monthly cost for a family of 4 in Vancouver is estimated at $1,098 based on a sample of 245 stores and the cost of a nutritious food basket. For a single male 19 – 30 years the food cost is $316. We also know that income assistance rates are well below what is considered the poverty line which is somewhere around $21,000 for a single person or $30,000 for a family of two*. A single adult on income assistance in BC receives $710/month. According to Raise the Rates, “the average rent in a private Downtown Eastside SRO hotel room, the cheapest housing around, is now $687 a month. Subtract $687 from the total monthly welfare rate of $710 for a single adult, and all you have left is $23 or about $6 a week for everything”. 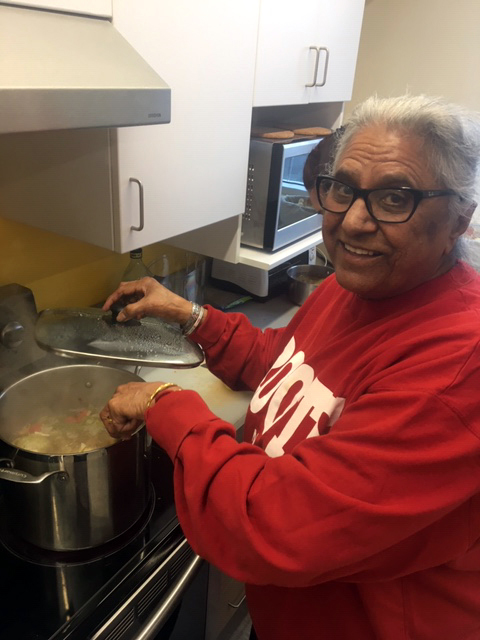 So with an monthly average food basket cost of $272 – $323, depending on age as per the BCCDC report, a single person on income assistance simply has no money for food and is forced to use food banks and other community food programs to eat. In a country with such wealth, many consider this to be criminal. Even the BC Civil Liberties Association has considered a legal challenge on this issue based on both international law and the Canadian Charter of Rights and Freedoms. *The poverty line is based on the latest Statistics Canada’s Market Basket Measure data for Vancouver (2016) adjusted for inflation to 2018. 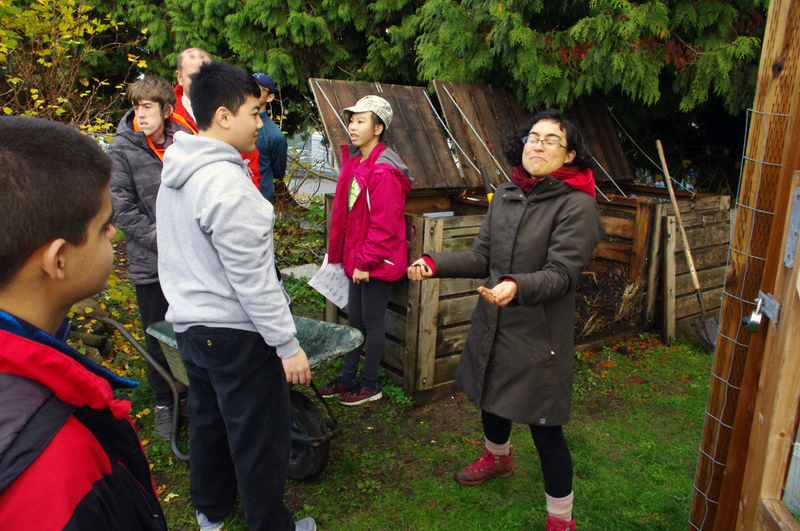 Summer Wild Minds brought together 14 awesome youth in a fun and engaging summer youth gardening program to explore, learn, play, and work in the beautiful Strathcona and Cottonwood Community garden in Vancouver’s Strathcona inner city neighbourhood. A key program focus was supporting youth immersion and connection with urban wilderness. Many of the youth who participated attend nearby Britannia Secondary School. They represented a variety of cultural backgrounds. Some were newcomers to Canada. Most were from lower income households and face barriers due to colonization and racial discrimination. 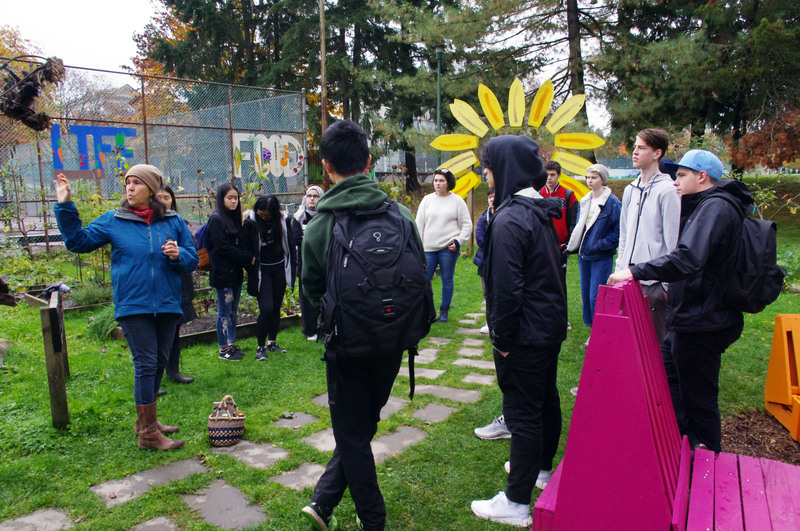 As one youth commented “I actually frequent this garden often being able to come back to nature and learn about the space that I love was a very amazing experience. I have noticed that I feel more at peace. Spending so much time in the garden has made my behavior alot less self destructive. In a way, it has given me time to live with a clear mind and has lifted weights off my shoulder”. Wild Minds emerged in 2016 as a program collaboration between the Grandview Woodland Food Connection and the Environmental Youth Alliance.